In this June 27, 2017, file photo, Ohio Gov. John Kasich, right, joined by Colorado Gov. John Hickenlooper, speaks during a news conference at the National Press Club in Washington. The bipartisan governor duo is urging Congress to retain the federal health care law's unpopular individual mandate while seeking to stabilize individual insurance markets as legislators continue work on a long-term replacement law. Kasich, and Hickenlooper shared their plan in a letter to congressional leaders. WASHINGTON — When John Hickenlooper announced his Democratic presidential campaign, he vowed to sit down with the Senate's top Republican if he wins in 2020 — the kind of milquetoast pitch for bipartisanship that White House hopefuls have made for generations. Still stung by President Barack Obama's fierce battles with Republicans and at odds with nearly every policy the GOP has pursued during the Trump administration, some Democrats say they have little interest in talk of cross-party cooperation. They increasingly view Republicans as immovable obstacles on everything from health care to the economy and are challenging presidential candidates to blow past their GOP opponents instead of bringing them into the fold. The take-no-prisoners approach represents a new test for Democratic presidential candidates eager to harness the energy of the party's liberal base without alienating moderates who may be more open to compromising with the GOP. It also marks a significant shift in strategy and tone for a party whose last two nominees, Obama and Clinton, each made explicit appeals to moderate Republicans and vowed to work across the aisle. 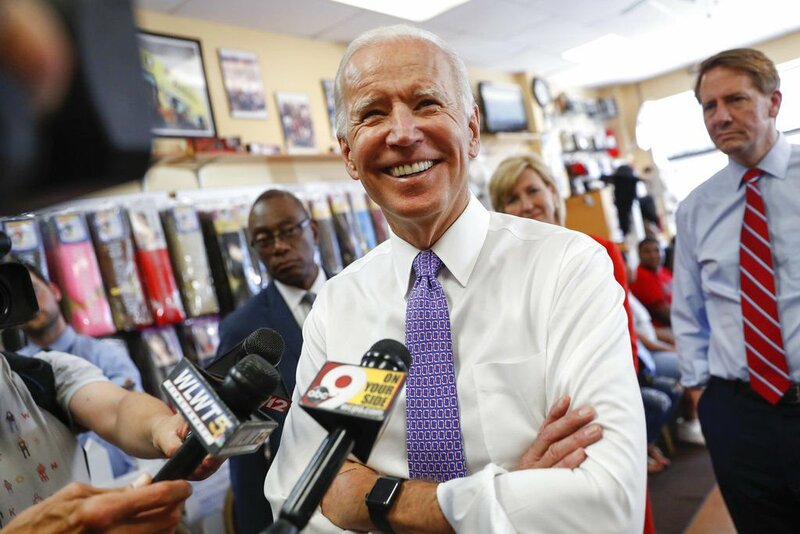 That new reality poses a dilemma for White House hopefuls like Joe Biden, who is expected to launch a 2020 campaign in the next few weeks. The former vice president has worked closely with scores of Republicans during more than four decades in politics, was Obama's point man in numerous negotiations with congressional Republicans and will likely make that experience a cornerstone of a 2020 campaign. While partisan infighting is nothing new in Washington, Obama and Biden's eight years in the White House left some Democrats particularly pessimistic about the party's ability to work with Republicans. Party leaders still seethe over Senate Majority Leader Mitch McConnell's now-infamous pledge to make Obama a one-term president and contend GOP lawmakers repeatedly moved the goalposts on health care, budget battles and Supreme Court nominations. Although Obama remains broadly popular among Democrats, some in the party now suggest he spent too much time trying to forge compromises with Republicans who had little interest in helping him achieve his agenda. Even as he campaigned for re-election in 2012, Obama said his victory would break the GOP "fever" — a prediction he and his advisers later conceded was overly optimistic. Democrats like Hickenlooper, the former governor of Colorado, say they're well aware that simply sitting down and talking with Republicans will not suddenly break Washington's logjam. But they say it's equally naive to suggest Democrats can simply go it alone.